My name is Robert. I teach 4th grade in Lexington, KY. I am raising money for Aaron Stamper. I don't know him or his family, but I saw his story on the news in Lexington, Kentucky. 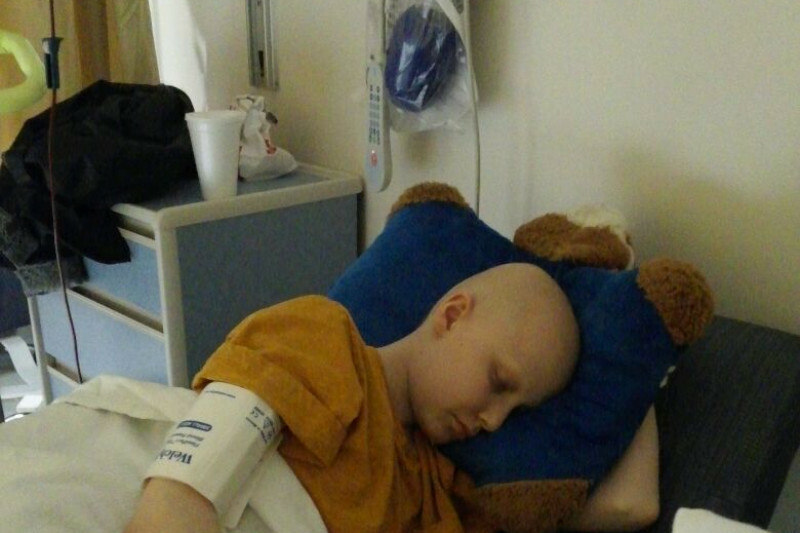 This young man is battling Leukemia and in the story his request from the public was recieve a box full of birthday cards on his birthday, which is this coming Sunday (April 2nd). This story made an impression on me due to the fact that his request was so humble. He didn't ask for anything material, expensive, or exotic. His family has had a difficult two years. His brother died in a car wreck two years ago. The family has obviously suffered emotionally and, most likely financially due to these events. My goal is to raise this money to help the family pay medical bills and if any is left over, I think they very much deserve a bit of a vacation. I was inspired to start this campaign by Aaron and my students. I've also seen the effects of cancer on my own family. My wife, her mother and father have all had and survived cancer within the last five years. My stepfather and stepmother both died from cancer. Just like many of you, I know the medical bills can be enormous and the stress for everyone involved can be overwhelming. directions. I surely didn't expect such an incredible response. I hope that doing this teaches my students the importance of doing good deeds for those that may be going through a rough patch in life, and to be humble and unselfish, which is hard in our material world. We all need to be more like Aaron! Aaron is a great example of humbleness and his perspective on life is refreshing. He obviously knows what really matters. I hope my students can inspire him with their cards and that we can give him and his family support and inspiration during such a tough time in their lives. I greatly appreciate everyone who has donated money to Aaron's family. I am out of town until Friday, but Saturday I will make sure all money collected up to this point is in his family's hands. If I am able to collect $6,000, I will pay the Go Fund Me Fee Myself!!!!!! That would be around $300!!!! Thank you to all that have donated to Aaron and his family. The more I learn about Aaron, the more I am amazed at what a great young person he is. This past Christmas he was in the hospital and the Make A Wish foundation granted him a wish. His wish was that every kid in the hospital get a gift, he didn't want anything for himself, except cards. If everybody approached life the way Aaron did, the world would be an amazing place. He's a great example of selflessness! We can only hope and pray that he gets healthy soon. We all need him as a role model, even if he's only 16! I am truly amazed at the response to our campaign. I am going to have my students make a document of some kind with all of your names and well wishes in it! It will surely inspire him! 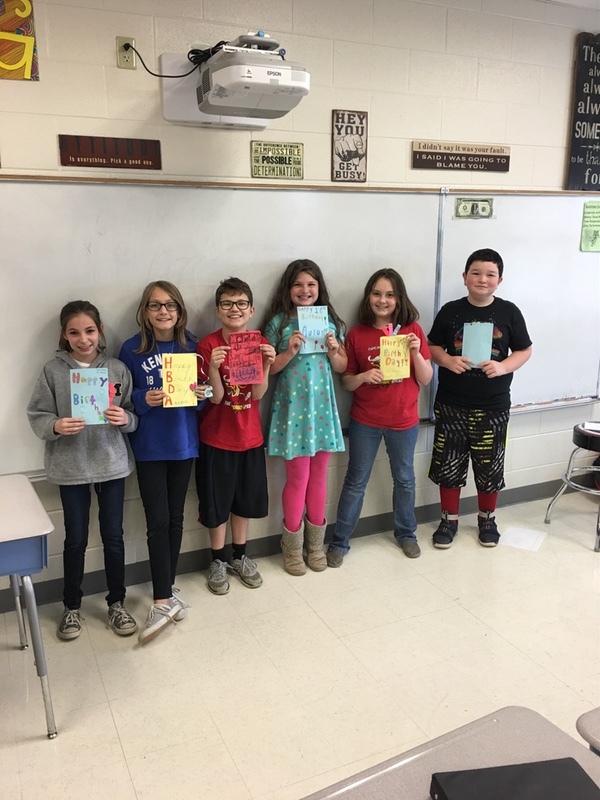 Happy Birthday from the fourth graders at Clays Mill! I know you don't know me but I to am from estill county. You actually Live at the address where me and my kids lived for a few years. I pray you have the best birthday ever. Keep fighting this to shall pass. I am so touched by him. I work at the post office and he is getting more than 10,000 cards. We currently are working on a special delivery to him today for his birthday since we don't deliver on Sunday. I am just amazed at all the cards coming in from all over the United States. It brings tears to my eyes. My father passed from leukemia and I wanted to do whatever I could for Aaron Praying for you and your family. Enjoy the cards and thank you for letting me get them all to you!! Prayers from Hardinsburg Ky. I'm a Physical Education teacher who has fought the cancer battle. So I'm praying for you bud! Just curious, why has this campaign not been closed after 3 months? Go Fund me just sent me an email after I donated 3 months ago to remind me as a donator that it has not yet been closed. One more question, why did you say in your update comment that you would pay the $300 to close it if it reached $6000 when it is capped at $5000? Is Aaron okay? We need an update please? Sorry I can't help with money, but I have a direct contact with the one who can help with healing. PRAYING in JESUS name. Hello Aaron..I hope you come here to this page often, not only to check the donations, but also to read the comments. I was at your house last week, with Mission Restore. Don't expect you to remember me, but believe me, all 17 motorcycle riders, and the special vehicle of John's, plus the drivers and passengers in the other vehicles will remember you forever. Hope you are feeling better, and if you wish to private message me on FB..(Anthony Long)...and get my phone number, (it is on the card as well) our group would love to take you on a ride on one of the bikes when you feel up to it. Keep us posted on your progress, and keep up the good spirits. You have lifted us up with your attitude, your positive outlook on life, and just the mature way you are conducting yourself...Thank you for allowing us to enter your world for a little while, we will never forget it....Tony. To the 4th grade teacher, Robert, I think what you are doing is wonderful and it touches my heart. So many of us sat around a do little in these times. Thanks for stepping up to the plate and doing this wonderful deed!!! I agree, Robert if there is any money left this family does deserve a nice vacation. I have lost a child and now are raising the grandchildren and I know how bad they need this vacation. God bless you Robert and God bless Aaron and family. I also saw his story and sent him some cards, had the people in Kroger who worked there sign also :) I appreciate what your doing for him and his family! If I were not in such a bad place financially I would donate. Sorry I cannot help. But I did post this on my FB to help! Happy to help you reach your goal! May you double it time and time again! You are an inspiration to us all!!! Prayers for you and your family. I want to thank the teacher that made this all possible, God bless you. I also what to say Happy Belated Birthday to Aaron, to his parents and family I am sorry for the loss of your child, I have been there, My prayers are with you all, God bless each of as my prayer.